It takes a lot more than design to build a great website. It takes technical expertise, experience, thoughtfulness, strategy and a handful of powerful tools in your pocket! We develop our websites on the WordPress platform using the Genesis Theme Framework. Then we integrate vetted 3rd party plugins and customized functionality. The result is beautiful, mobile-first websites that are secure, flexible and built to grow with you, whether you have a new business or a 7 figure enterprise. We always recommend using fast and reliable web hosting services from independent hosting companies who have stellar support – like inMotion Hosting (if you’re just getting started) or WPEngine (for higher traffic, established sites) – for the best results for your site. Affiliate Disclosure: This page includes affiliate links to many of our recommended products or services. If you you end up purchasing something we’ve vetted and recommend, we get a percent at not additional cost to you. This helps us to support this site and enables us to spent time creating free, helpful content. Know that we ONLY recommend products, services and companies that we have used personally, and believe to be of genuine value. We test each product thoroughly and give high marks to only the very best. We are independently owned and the opinions expressed here are our own. WordPress is a free and open-source content management system (CMS) that 74.6 million websites depend on. At the core, WordPress is a blogging platform and content management system. Anyone can create a free hosted version on WordPress.com, but there is much more to it than that. Businesses and brands typically develop on the self-hosted WordPress.org (you pay for your own hosting and custom domain) for complete independence and ownership of their site. Since its release in 2003, 29,000 plugins have been developed and even more themes and 3rd party integrations have been created, to extend the functionality and capabilities of the platform. WordPress is most popular with businesses, bloggers and e-commerce shops because of it ease of use, flexibility and ability to scale gracefully. The WordPress Codex is a community-driven resource center for all things WordPress, and best of all it’s free! There you can find things like Getting Started with WordPress, WordPress Lessons, Creating and Using Posts, Site Design & Development and much more. See the collection of our favorite plugins from the WordPress.org plugin directory. These are plugins that we have used and vetted to for security, code compliance and overall usefulness. Simplify your life and secure your accounts! LastPass manages your online life, so you don’t have to. Stop wasting time writing, remembering, and resetting passwords. Keep them secure when you need to share them with your team or your family. With LastPass you only have to remember ONE master password. They keep the rest locked up and easy-to-find in the LastPass password manager. Learn more or sign up here. Our lives are forever changed since we started using zoom to host face-to-face calls with our clients! We can share screens and record our calls for future reference if needed. They can give us control of their computer if we’re doing a support call and need to be hands on, or have multiple people from different places join us. Clients who aren’t able to be at their computer can choose to call in instead. We even use it to record custom how-to videos for our clients! Zoom is easy to use and has more than paid for itself in convenience and the benefit we get from being able to engage with our clients in a more personal way. For only $14.99/mo we have found the Pro plan to be incredible robust and perfect for our business – it allows us to host calls longer than 40 minutes, has advanced controls, cloud storage and more! Learn more. Gain total control of your money. Stop living paycheck to paycheck, get out of debt, and save more money. On average, new budgeters save $200 their first month and more than $3,300 by month nine! Pretty solid return on investment. You Need a Budget – or, YNAB as its users call it – is a better way to track income and expenses. It actually helps you BUDGET based on the income you have, and plan to save for the expenses you’ll have in the future. If you’re new really handling your personal finances (or programs like Quickbooks or Freshbooks give you chills just thinking about them), YNAB is a great tool for taking control of your personal or small business finances. Both at Cultivar Designs and during previous professional lifetimes, we have worked with WordPress websites hosted under many different providers. Choosing the right hosting company isn’t always easy and often requires considering many options as well as plans for future growth. Based on our experience, we have vetted and highly recommend these two options for both starters and pros. Just starting out? We recommend inMotion Hosting because they’re an independent US based company who has stellar service, support and performance. They have award winning support and they are one of the top rated hosting services in 2016. Their shared business hosting provides free site/domain transfers to get off your old costly plans while providing unlimited space for you to build your dreams upon. Ready to get serious? WPEngine is the perfect pick for professionals. They stand out with premium speed, reliability and technical support. We don’t recommend anything else for high traffic websites., or sites where e-commerce or online learning platforms (like AccessAlly) are their primary function. They’re simple hands down the best solution for hosting WordPress sites for medium to large businesses or for those whose traffic is steadily growing or are expecting significant press or traffic surges. Your website will fly when you’re working on the same platform that major players like Yelp and Asana are using. Grow your audience to grow your income. We love this powerful and flexible email marketing tool! 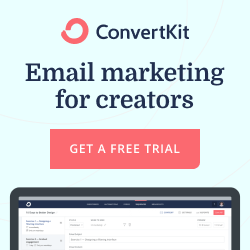 ConvertKit has a robust array of features and tools for growing your community email list and driving sales and great support and knowledge-base documentation to help you learn. Understand your audience through tags and segments. Increase conversions with automated emails that feel personal. ConvertKit connects with the best tools out there to help you build exactly what your business – and your customers! Genesis Theme Framework is the ultimate choice to develop your WordPress design on. It allows you to start with a foundation that is search engine optimized, responsive, up-to-date with HTML5 and secure. We create custom Genesis child themes for our clients, but you can also start one of their many wonderful pre-styled themes to choose from. We love Genesis theme because it allows us to create extremely customized and personalized branded sites without all the bulk that many other themes contain. Many of the our sites require little to no maintenance when it comes to theme updates because the Genesis core framework takes care of all of the work, so you can focus on design. There are a lot of platforms out there for building membership sites. But AccessAlly (IMHO) is truly the only one that does it all! That’s what makes them the #1 choice for industry leaders building online course and membership sites. The entire platform is designed to sell, teach and engage. Including High-conversion order forms, a built in LMS, member directories, gamification, and so much more! Their robust feature set is complemented by helpful and articulate documentation and an INCREDIBLE support team. It doesn’t just work for WordPress, it was designed for WordPress. Their objective, first and foremost is always to make sure everything just works, seamlessly. If you’re thinking of creating an online course or membership site, we can’t recommend highly enough checking out everything AccessAlly can do here. PopUpAlly was the plugin that started it all! Pop-ups are an integral part of marketing – they help turn website visitors into subscribers, customers and community members! But intrusive pop-ups give people all the bad feelings – even if they do sign up or purchase, they leave with a less positive experience. Pop-up ally has a free and a pro version – and the free version (unlike other free versions of similar plugins) really does allow you to take advantage of its robust array of features. (No bait and switch here!). Compared to other popular popup plugins, it’s also one of the most affordable – no monthly fee, just a one-time annual purchase with a lower, annual update fee which isn’t required. When we purchase specialty plugins, we use the Envato Studio’s Code Canyon plugin market. It’s easy to vet plugins by number of purchases, average ratings and by reading customer comments, reviews, support tickets and update logs. We don’t recommend everything in the market, but there are a star plugins we definitely we couldn’t live without! With Visual Composer, you have everything it takes to design anything and for any page. Yes, Visual Composer works with any WordPress theme! It has easy to use drag and drop page builder that will help you to create any layout you can imagine fast and easy. No coding skills required! We know there are some newer builders on the market and we’re not dissing them, but Visual Composer is one of the first Page Builders and has continued to stand the test of time with quality updates and what we think is the most robust array of features and functionality we’ve seen, without breaking the bank. Stand out from other web shops and roll your own shopping experience without lifting a finger to code. Using the Drag & Drop Visual Composer of WooCommerce Page Builder couldn’t be easier. Woo Commerce Page Builder is a dream come true for innovative creative digital publishers who want to add custom slideshows, video and other engaging multimedia to enhance the online shopping experience. Video & Parallax add-on gives you a bunch of Row Adjuster Elements that allows you to easily add image parallax scrolling effects, video backgrounds and hover backgrounds to your WordPress site. It also allows you to widen your rows into full-width, full-height or fullscreen rows. Once you install this add-on, your Visual Composer will never be the same again. With more than 80+ new premium elements at your disposal, custom post types, thousands of font icons etc. you can do so much more. 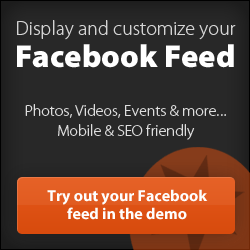 It’s attractive, lightning fast, customizable, lot of features, responsive and just works. When you spend as much time behind a computer as we do, you want an easy way to keep some sustenance coming your way, without having to make so many trips to the store. And Amazon…not really our jam for that kind of thing. I (Shayna here!) also love to cook and I can get so many of my vegan and gluten free (when I was GF) staples from Thrive, again at fantastic prices.